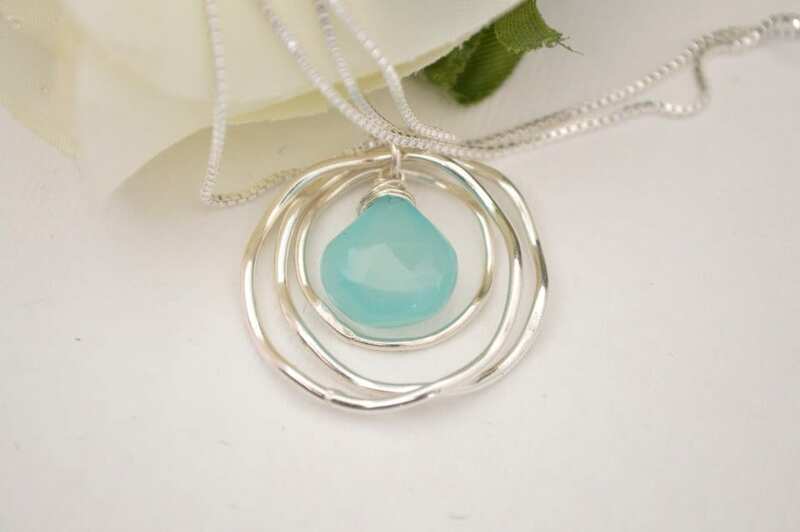 This classic design includes a triple circle silver necklace with an aqua blue quartz in the middle. 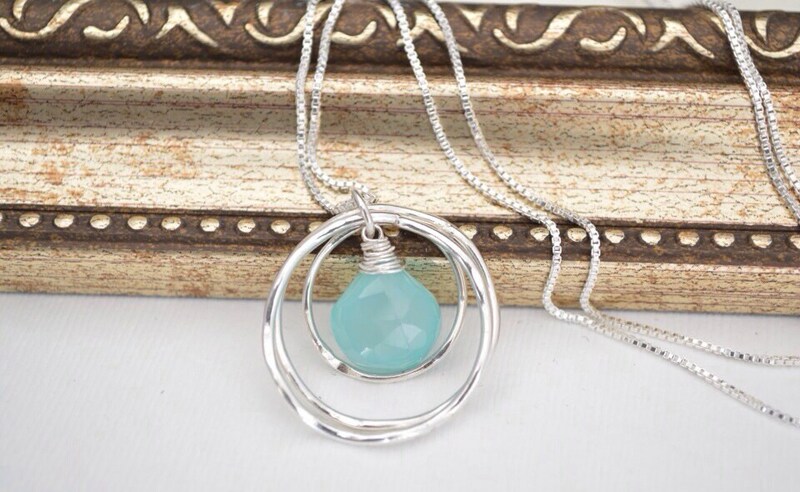 The circles and the chain are made of silver. Perfect to be used on any occasion. 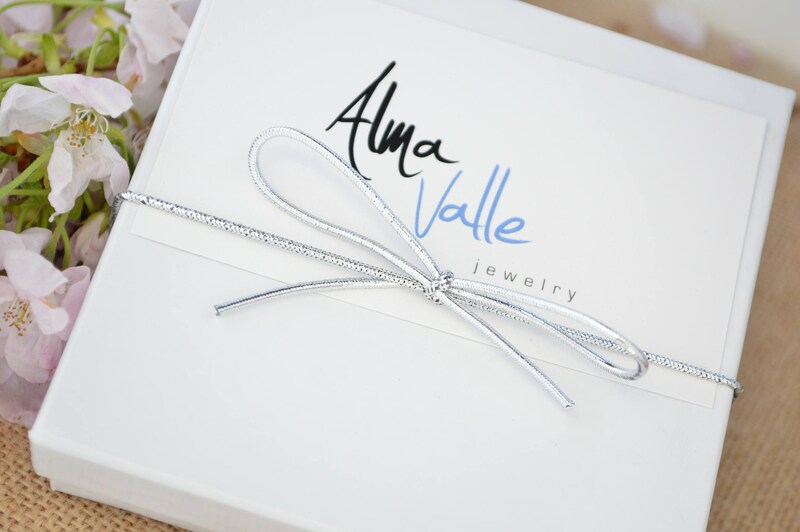 Makes a great gift to celebrate 3 decades, 3 friends, 3 sisters, 3 children, or 2 children and a husband!